Beyond its borders, Canada’s reputation is based primarily on its international peacekeeping activities, its stunning natural environment, and the modest and understated nature of its people. Beyond that, people assume that Canadians are culturally similar to, though more humble than, their American neighbors to the south. But, Canada is far more complex a society than the world’s news media give on. Culture Smart! Canada gives a broad overview of the geography, history, and politics of the country, and describes the Canadians themselves, their values, attitudes, and the routine of their daily lives. It looks at how Canadians use their spare time, and how you can make friends with them. 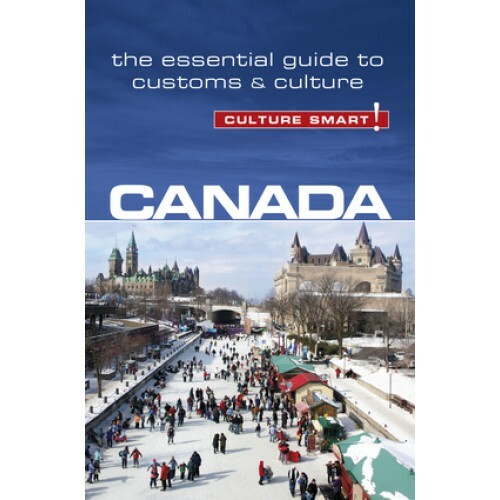 There is a chapter on traveling within the country, and another on business for those who need to know what to expect in the corporate world—for instance, the specific rules of etiquette at business meetings, and how Canadians negotiate deals. While a book of this size cannot do full justice to the rich cultural variety that exists in the country, Culture Smart! Canada aims to give you a broad overview of the complexity of the Canadian psyche, preparing you for the reactions, emotions, and events that you will experience during your visit. Canadians are open, friendly, and relaxed hosts, who will make your stay worthwhile, and will welcome you even more if you can demonstrate some depth of knowledge of their culture.